In December last year Italy decided to join Australia and Ireland to ban incandescent light bulbs. 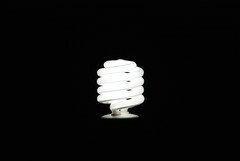 The Italian budget committee voted in favour of an incandescent light bulb ban from the Green MP Angello Bonelli. The ban will take place in 2011. More European countries are planning on following Irelands and Italyâ€™s â€œbrightâ€ decision in a, very, near future. The European Lamp Companies Federation plans for a incandescent light bulb phase out by year 2019. This just shows that government guidelines and actions do make more difference than what the private sector could accomplish. I cannot stand the light from CFLs .. I also despise the light from LEDs. However, what I despise even more than that is environazis dictating what kind of light I can be allowed to use. I'm creating a lifetime stockpile of incandecents .. and would advise others to do the same until we can overturn this awful law. Daisy, I agree with you. In 1974 I asked a very old optometrist if he thought the reason more people needed glasses for nearsightedness today (that was 1974) was due to television in most homes. He said he noticed more nearsightedness in children when schools switched to fluorescent lighting. I think he's right, and I have always refused to have fluorescent lights in my home. Interestingly, my wife and I are very nearsighted and have worn glasses since 5th and 7th grades respectively, but our three children have perfect vision. they'll install fluorescent lights in my home over my dead body.